Here is the July edition of “Korean Dramas You Need to Be Watching.” This monthly series is meant to keep you updated on what’s happening in the world of Korean dramas so that you don’t miss out on anything! July is giving us five new premieres with some big name actors. W – Two Worlds welcomes back Lee Jong Suk and Han Hyo Joo to our screens. I’m loving the fantasy vibe and unique story for this drama. It looks like it should have plenty of excitement, and I’m hoping for some great chemistry between these two talented actors. W – Two Worlds is scheduled to premiere July 20 on MBC. 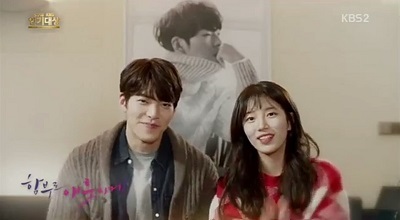 Uncontrollably Fond is scheduled to premiere July 6 on KBS. Let’s Fight, Ghost is scheduled to premiere July 11 on tvN. 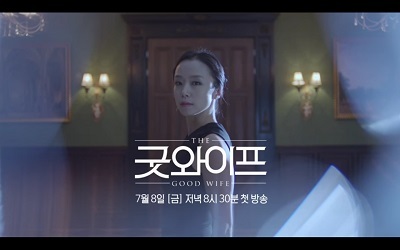 The Good Wife is scheduled to premiere July 8 on tvN. 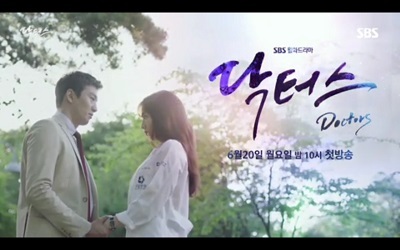 After the Show Ends is scheduled to premiere July 2 on tvN. Doctors is about a tough young woman (Park Shine Hye) who was a bully in her past but with a little help is working to become a doctor. Kim Rae Won plays a realistic and outgoing Chief of Neurosurgery who is helping our troubled doctor. 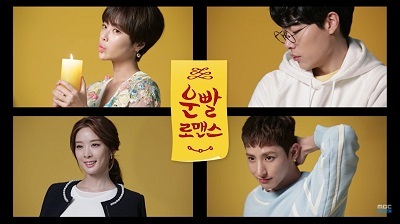 Lucky Romance is based on a webtoon about a quirky, superstitious girl (Hwang Jung Eum) who is obsessed with making sure she is lucky in life. Then a fortune teller tells her she needs to sleep with a man with the tiger zodiac sign in order to ward off death. That man ends up being her boss (Ryu Jun Yeol) who is her complete opposite. He’s uptight, stingy, and scientific. Of course, the two don’t get along at all, which sets up the already comical scenario. Lucky Romance airs Wednesday and Thursday on MBC. Mirror of the Witch (also known as Witch Bogam) is a fantasy romance sageuk about the Joseon royal physician (Yoon Shi Yoon) known as the father of Eastern medicine. 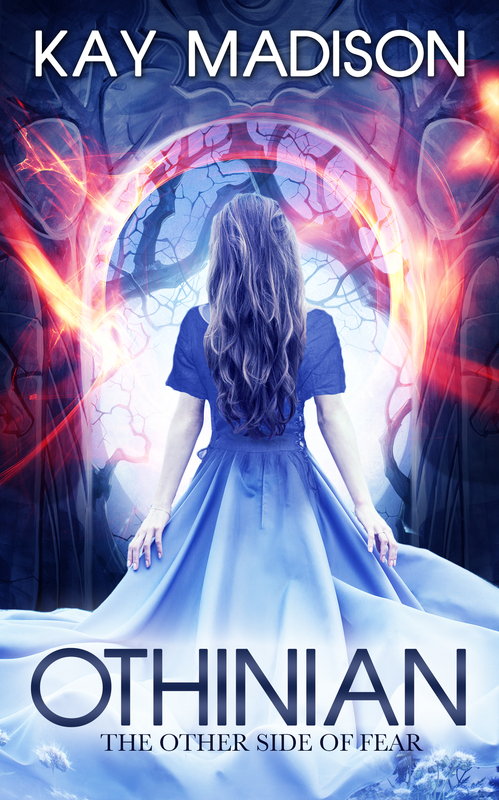 He becomes involved with a cursed princess (Kim Sae Ron) who has been turned into a witch. Mirror of the Witch airs Friday and Saturday on JTBC. Dear My Friends tells multiple stories of people growing older and dealing with relationships. The drama comes from the writer of It’s Okay That’s Love and That Winter the Wind Blows. It stars a host of well known veteran actors including Go Hyun Jung, Yoon Yeo Jung, Joo Hyun, Kim Hye Ja, Na Mun Hee, Shin Gu, Go Du Shim, and Park Won Sook. 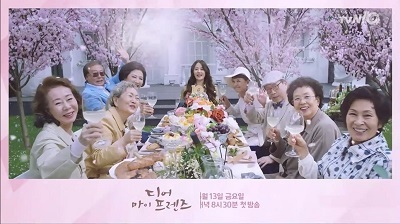 Dear My Friends airs Friday and Saturday on tvN. Beautiful Gong Shim (also known as Beast’s Beauty) is a romantic comedy that tells the story of a man (Nam Goong Min) who has a difficult life. He is a wrongly convicted ex-con turned human rights lawyer who also becomes a chaebol heir. The drama follows the relationships of two cousins and two sisters and comes from the writer of Rooftop Prince and Girl Who Sees Smells. Beautiful Gong Shim airs Saturday and Sunday on SBS. We get a couple melodramas, a fantasy romance, a variety/drama mix, and a ghostly comedy for the month of July. I’m liking this selection. I can’t wait to check out W – Two Worlds, but I’m also looking forward to Uncontrollably Fond and Let’s Fight Ghost. This entry was posted in Drama Guides and tagged Han Hyo Joo, Hwang Jung Eum, kdrama, Kim Rae Won, Kim So Hyun, Kim Woo Bin, Korean Drama, Lee Jong Suk, Park Shin Hye, Seo In Guk, Suzy, Taecyeon. Bookmark the permalink. Hahahahaha so many to choose from. 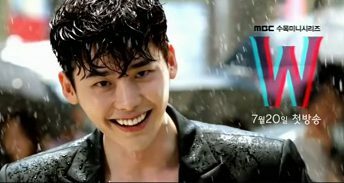 W: Two Worlds is a must. I’ve been waiting. Anxiously. I think I’m definitely watching the first few episodes of Bring it On, Ghost too, and Doctors. Ahahaha there’s too many to choose from. It is! It needs to get here quicker! Bring It On Ghost and Doctors are on my list too. Yes, way too many to choose from, lol. Me too! I can’t wait for W: Two Worlds 🙂 I’m going to try Doctors too as well as several others. Lots of good ones! Have you checked out “Working Mom, Parenting Daddy”? Not a typical daily drama, it’s funny, and now that Yoo Jun Sang from “Pied Piper” and “Heard it through the Grapevine” is in the mix, show is getting even better. I want to watch but i don’t know how to download, Im working that’s why I don’t have time to watch it.